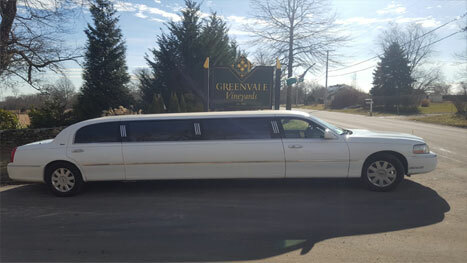 What better way to spend a Saturday or Sunday afternoon than a wine tour with friends, cruising through the beautiful New England countryside in a luxury SUV or limousine? Leisure Limousine is Rhode Island's premier luxury transportation service, providing safe, dependable chauffer‐driven limousine tours so you relax and enjoy the ride. With a diverse fleet of top‐of‐the‐line vehicles , we can accommodate groups of any size. Sink into the soft leather seats of a stylish Lincoln Town Car with your special someone. 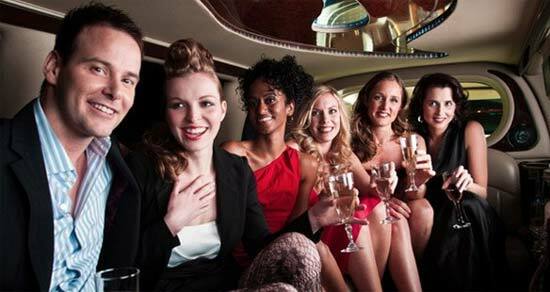 Toast your friends over a glass of wine while listening to your favorite music in a luxury limousine (seating for 8 to 14). Hit the road in a trendy Navigator SUV , letting our suited chauffer take you from vineyard to vineyard. Rent a 15‐passenger van to give your visiting relatives a memorable afternoon in beautiful Rhode Island. Call (401) 683‐2683 and reserve your luxury New England wine tour today! No need to leave someone out of the fun in order to have a safe, sober driver for the return trip. No need to worry about a costly DUI! 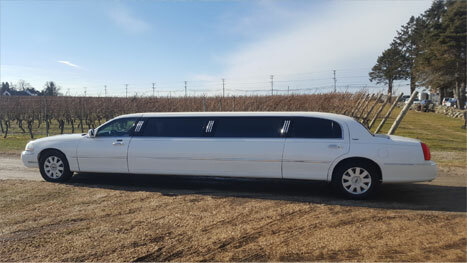 Let Leisure Limousine do the driving for you. Call to reserve a luxury vehicle: (401) 683‐2683.